你好, 有D複雜啊.. 我宜家信用卡有9萬分, 即係可以兌到幾多FWC分? 上網去到兌換果頁都好唔清析. so that means those water , electric, town gas etc … payment , cannot get 積分 anymore ? 小斯你好, 請問WECHAT PAY (轉帳)係咪$2 = 6 信用卡積分 = 1 Fortune Wings Club 積分? 小斯,你好請問CCB fly away 五千蚊迎新計唔計支付寶和pay me 轉帳? 2) 本人已經用盡6張八達通quota, 想問如果出一張附屬卡俾屋企人再叫佢申請八達通自動增值, 究竟係扣我屋企quota 定係計我自己? 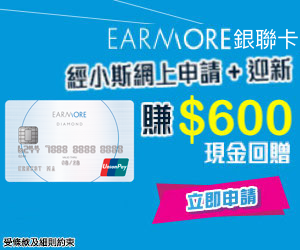 我見之前你寫呢張卡篇文有話PAYME $2 = 1 FWC積分, 6月1日更新左就冇左呢句, 其實而家PAYME係咪冇分? 我見官網無寫用支付寶$2 = 1金鵬會積分, 只係寫左用APPLE PAY先係, 其實有無架? 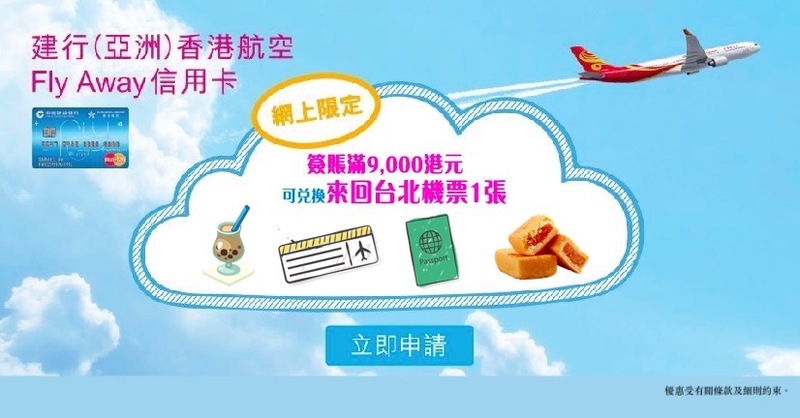 flyaway 玩 payme 是$2 一里, 還是$6 一里? 即係PAYME ALIPLAY 個D分計唔計入呢30萬 定係10X 個D先計? 如同行有4人， 加上咭主1人， 即係可以一次5人入貴賓室 用哂5個quota ? 另, 收到月結單, 係breakdown下面顯示左一行, 本行現正豁免DCC 1%收費, 唔知會做到幾時..
啱啱將EYE CARD先到手, 又趕住交保費…咁今年用EYE交完保費, 係咪照申請FLY AWAY好呢? 雖然食唔到迎新…. 唔係話交稅冇分嗎?? 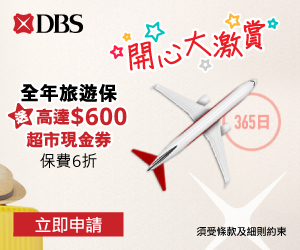 定係指若交稅$3000, 就只得6000 分, 冇左BASIC 500?? Hi,小斯, 優先登機 HK airport only? How about in Bangkok and Japan? 咁請問我有BEA FLYER同呢張CCB FLYAWAY卡, 想交水電等費用, 用邊個好? 想請問網上訂機票酒店(E.g. : HK Express, Agoda) 係唔係都計$2/里? 1) 請問網上訂expedia HK 機票, 酒店, 係唔係都計$2/里? 有或沒有DCC charges? 2) CCB 客戶服務說, 保險必須 “過機” 支付, 才計分, 不是任何繳交方式都計分, 是真的? 1. but on your Aug 28 post under CCB Eye card, you said “建行無dcc呢樣”.?? 3. Would you please see if below are correct for DCC purchase? 小斯，想問25000/6 *2 = 8333, 咁唔係網上碌$8333 就會爆咩? How to log in the FWC? FWC no. was assigned together with the credit card, but NO passward given to log in. Had tried the ‘forget passward’ option, but error message pop up! -> 網上繳費: 交稅得唔得 = =? 如果唔得, 係咪冇CARD 交稅有分喇? 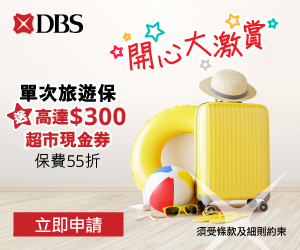 -> 哩個計算係based on 迎新優惠 定係網上簽賬$2/里優惠? -> 如果過左迎新優惠, 即係簽 $38,000 網購 先換到宮崎? 小斯, 另想再問下, 我黎緊簽大約70K, 應可以分單咁簽, 咁如簽哩張FLY AWAY $24K 食迎新, 另外若食AE 白金係咪最化算 , 即 $ 3萬 有3萬里 (AM) 果個??? 但AE 白金係咪至少要俾入場費 $2,420 (年費 $1980 + $200 + $240) 先換到個 3萬里?? 食AE 白金係咪最化算 , 即 $ 3萬 有3萬里 (AM) 果個??? 1) 迎新$26,000 係指全部網上購物先得？ 零售有receipt 紙果d 唔只簽$26,000? 我而家手上有渣打AM同埋呢張卡喇 黎緊可能出IPHONE想開BEA FLYER/DBS 卡賺佢迎新 應該邊張好少少? 長遠黎講 有冇邊張卡開左1年就應該CUT左佢? © Copyright 2013 - 2019 Flyformiles.hk All rights reserved.